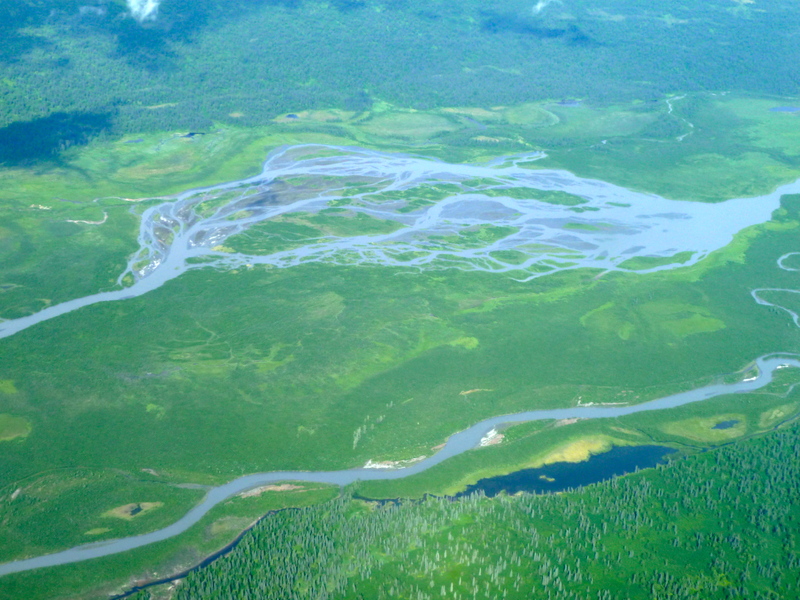 Alaska is big and beautiful, especially for families. See as much as possible with the help of reputable tour operators. Navigating the many options for Alaska day cruises, tours, and multi-itinerary experiences can be confusing. Knowing where, when, and how to approach this popular avenue of 49th state tourism is as important to one’s family as it is to one’s wallet. 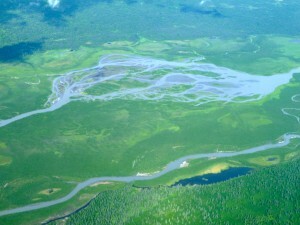 With day cruises in running the gamut of 2-9 hour excursions into wildlife and glacier viewing bliss and tour packages offering everything from guided hiking to spending the night in full view of North America’s highest peak, it’s no wonder many visitors to Alaska simply throw up hands and book the first tour found in the sea of rack cards at visitor centers. Traveling with children, especially, requires more forethought into such trips, as AK Kid and I found out these past two weeks, courtesy of CIRI Alaska Tourism and a slate of unique properties and tours. 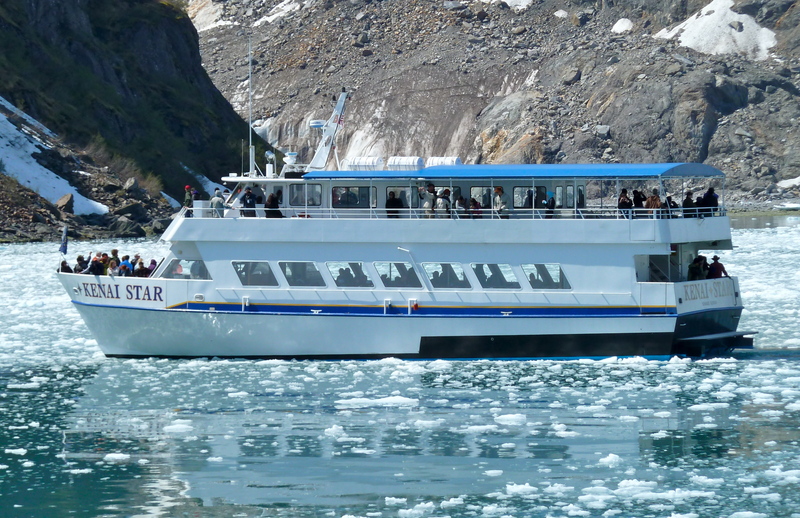 A subsidiary of Cook Inlet Region Incorporated (CIRI), an Alaska Native corporation, the CIRI Alaska Tourism venture is proving to be wildly successful for all involved, including those of us who march aboard their beautiful boats or stay in their clean, comfortable lodges. What makes the whole thing work is the company’s ability to bundle a number of Alaskan experiences featuring as much or as little as one family can handle. A stop at Holgate Glacier aboard a Kenai Fjords tour. A helpful website outlines the myriad ways to combine day cruises with overnight lodging, adding in a sprinkling of active day hiking or glacier viewing via contracted vendors. 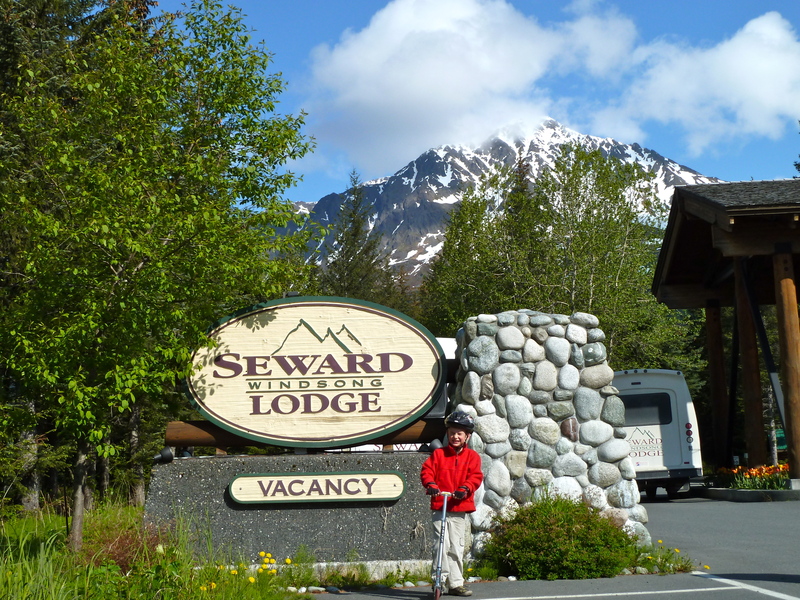 AK Kid and I drove to Seward (2.5 hours south of Anchorage along the beautiful Seward Highway) for embarkation upon a Kenai Fjords National Park Tour. At six hours, the tour from Seward’s Resurrection Bay through the Harding Gateway and around some of the most scenic waterways of my memory, our day on the water was full of orca whales, humpbacks, giant sea lions, and a legion of ocean-faring birds intent upon summer nesting grounds. A highlight for us, however, was an engines-off stop at stunning Holgate Glacier, a swath of blue ice that once in a while calved a chunk or two into the calm waters of Holgate Arm with a mighty bellow of finality. Kids are welcomed with open arms aboard tours, especially the Glacier Adventure Cruise departing from Whittier (the company offers tours from both cities, ask when making reservations about each unique departure point), where children participate in science experiments aboard the vessel and every moment is dedicated to maximizing learning and fun. If coming or going to/from a day cruise appears a bit cumbersome, the company also arranges transportation via the Alaska Railroad to either Seward or Talkeetna, home of mountaineers, pioneers, and history buffs. A railroad package combines the best in Alaska scenery with no-worry transportation, especially when traveling with kids who treat the train as a 9-car fun house. Watching the scenery sweep by from the comfort of a domed rail car is a wonderful invitation to sit back, relax, and enjoy the stunning view, not to mention the occasional moose or bear. 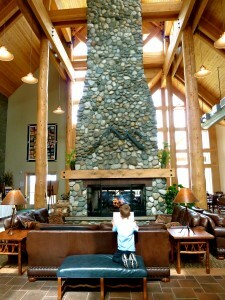 A soaring river rock fireplace greets guests at Talkeetna Alaskan Lodge. Lodging is easy, too. With two properties featuring attributes unique to their respective regions of Alaska, CIRI further extends the welcome mat to families looking for clean, comfortable, and quiet places to rest heads after a busy day of sightseeing. 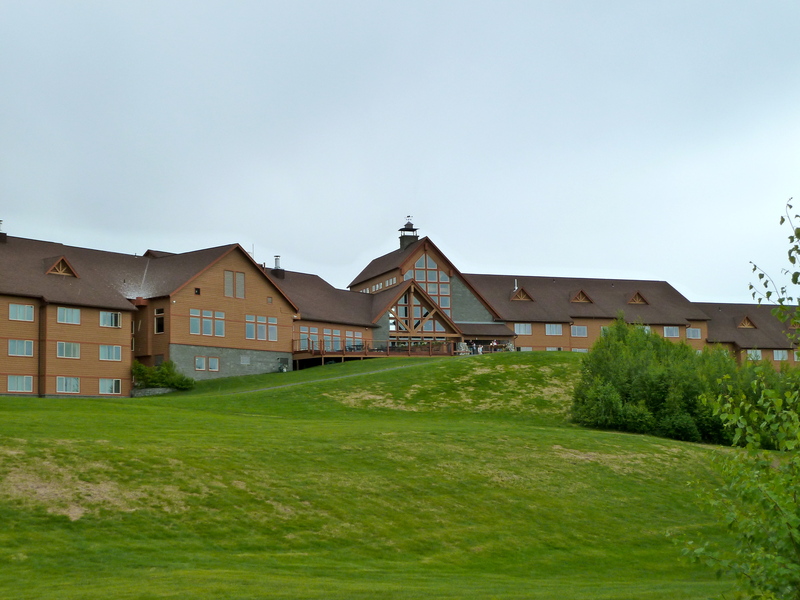 Both the Seward Windsong Lodge and Talkeetna Alaskan Lodge offer lovely views and fabulous dining in an atmosphere of grandeur that doesn’t at all feel pretentious or “hands-off” to kids. 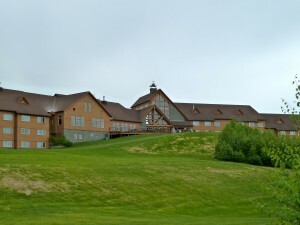 Seward Windsong Lodge is tucked back in the green forests of Exit Glacier Road just before arriving in the town of Seward. Sitting just across from Resurrection River, where AK Kid spent an hour tossing rocks into the silty, chilly water, Windsong Lodge is eight miles from famed Exit Glacier and a family hiking experience appropriate for every age or ability. Offering daily guided hikes around the Exit Glacier Visitor Center and up to the glacier overlook itself, the staff of Windsong do their best to accommodate guests, with transportation, information, and even hiking sticks. Early morning hikes allow time for a day cruise and space for eating a sumptuous meal in the even more famous Resurrection Roadhouse restaurant (ask them to put bacon on your Veggie Burger, it’s to die for). Back up north in Talkeetna, the Alaskan Lodge is perched on a hill overlooking the town proper, a place where all would-be Denali summit-seekers must register and perhaps fill up on carbs at the Talkeetna Roadhouse before their multi-day climb. The only place to catch an unobstructed view of Denali (McKinley, or “the High One”), Talkeetna Alaskan Lodge provides ample deck space to do just that while sipping a libation, eating a great meal, and watching the kids roll down the grassy hill in full view of mom and dad. Care to explore the nearby forest? The Lodge’s Tour Desk provides an nice map of easy hikes ranging from 1.25 miles to 2 miles of wide, barked trail that made for a nice post-lunch stroll. Our crew of three children enjoyed sitting among the flowering daisies and lupine, and we parents took advantage of the peaceful scene to do a little flower ID of our own. 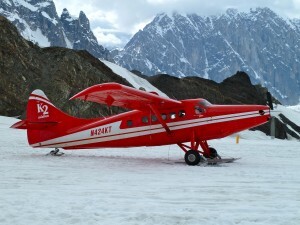 K2 Aviation in Talkeetna offers amazing views of Denali, "The High One". 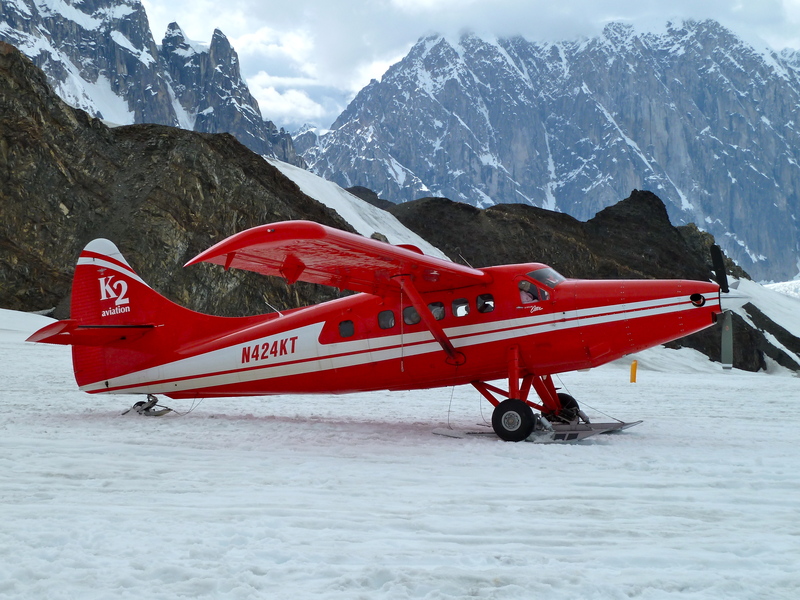 Talkeetna is also famous for flightseeing; the same Tour Desk can set up the crew with K2 Aviation, a legendary company whose record for safety and customer service are stellar. Departing from downtown Talkeetna (the Lodge will help arrange transportation as well), a flightseeing tour ranging from 1-2 hours, depending upon the tour and weather will make even the most skeptical tourist believe there is no better way to capture the depth and breadth of Alaska than from the air. Add in a glacier landing, where one can stand upon thousands of years of ice beneath one’s boots, and reverence for Mother Nature is all but certain. (psst, a two-for-one coupon is available in the Great Alaska Toursaver). There is a certain comfort in knowing the details are managed by someone else, especially when traveling with kids. We parents have enough to worry about without the added stress of what tour is appropriate for which passenger leaving from which town for who-knows-where. CIRI has it all dialed in, parents, you need only to call. Hey, Alaskans: make tracks for the shoulder season specials, where we can secure lodging and fine dining at incredible rates. Call up the reservations folks and take an early fall trip! CIRI Alaska Tourism can be found in downtown Anchorage on 4th Avenue. For information and reservations, call 877-258-6877. 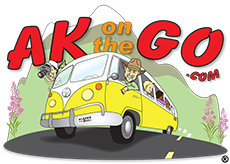 CIRI properties offer free shuttle service to and from their properties in both Talkeetna and Seward to activities, or for casual walking about the towns. Posted in Hotels, Kenai Peninsula, Miscellaneous, Parks Highway, Restaurants, Wildlife/Glacier cruising and tagged Alaska, Day Cruising, Flightseeing, Lodging, Seward, Talkeetna.